Unbeknownst to South Florida residents, trips to a local Whole Foods, Publix or Winn-Dixie may be funding the anti-gay, ultra-conservative Christian right. 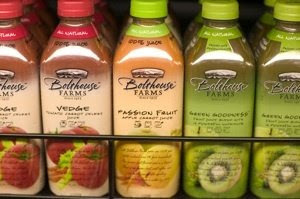 Grass-roots activist organization Californians Against Hate is calling for a nationwide boycott of Bolthouse Farms products for its affiliation with the anti-gay movement, after shareholders donated to the anti-gay Proposition 8 in the state, which will repeal gay marriage if enacted. California legalized gay marriage earlier this year. … Unbelievable , but I just found software which can do all hard work promoting your allianceofpower.blogspot.com website on complete autopilot - building backlinks and getting your website on top of Google and other search engines 1st pages, so your site finally can get laser targeted qualified traffic, and so you can get lot more visitors for your website.